A key figure in the world of Post-impressionism Vincent Van Gogh also helped lay the foundations of modern art. A troubled man, he experienced many uncertainties and rejections in his early life, particularly where female love interests were concerned. Religion played a huge role in van Gogh´s life and many of his paintings carry religious undertones. Van Gogh did not experience great success during his lifetime, selling just one painting but after his death his work was revealed to the world and he is now regarded as one of the greatest artists that ever lived. Vinc&egravzzz;nt van Gogh was born in Holland in 1853 and was one of six children born to Anna Cornelia Carbentus and Reverend Theodorus van Gogh, a protestant minister. A quiet and serious child, van Gogh showed no real interest in art. At the age of 16, he found a job at the Hague gallery, run by French art dealers Goupil et Cie. After several transfers that took him to London and Paris, he lost interest in becoming a professional art dealer, despite the fact that three of his brothers had entered into the profession. With a growing interest in religion van Gogh decided to follow in his father's footsteps and found a job as a missionary in a small Belgium Province, where he worked with a group of miners. This period in his life was very important as van Gogh could relate to the miners of Borinage and their way of life and this experience, together with pressure from his brother Theo, convinced van Gogh that he wanted to make an impression on the world and so he set out to become an artist. Van Goghs brother Theo was a highly influential figure throughout his life, supporting him both emotionally and financially. In his lifetime, Vincent van Gogh wrote over 800 letters and most of these were to Theo, his brother and closest friend. By the end of 1881 van Gogh was taking lessons from Anton Mauve, his cousin by marriage. He also started a relationship with Sien Hoomik, a pregnant prostitute, which Mauve disapproved of and this led to the two falling out. However, van Gogh continued to master the skills of drawing and Hoomik posed for him whenever possible. Becoming increasingly frustrated, Vincent ended his relationship with Hoomik and feeling uninspired, he moved back in with his parents to continue practicing his art. It was then that he was introduced to the paintings of Jean-Franqois Millet and he imitated Millets style a lot in his early works. 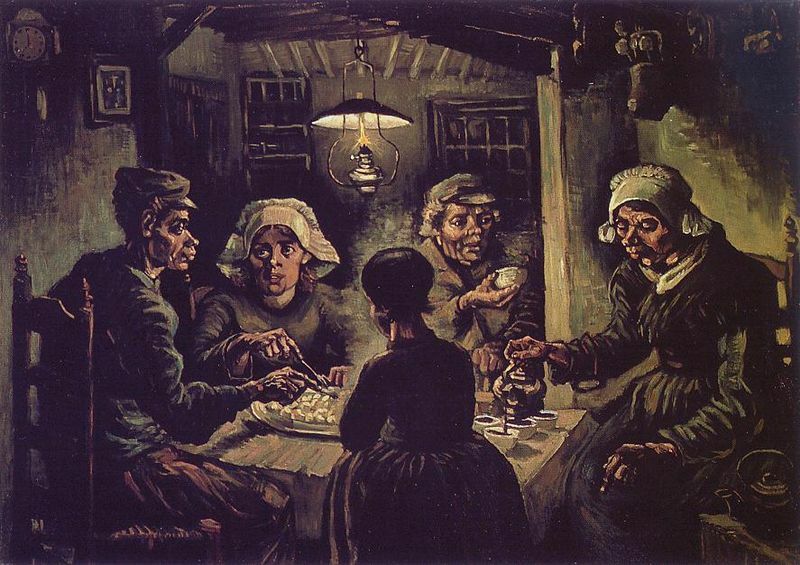 Van Gogh had the desire to paint figures and in 1885 he completed The Potato Eaters which proved a success at the time. 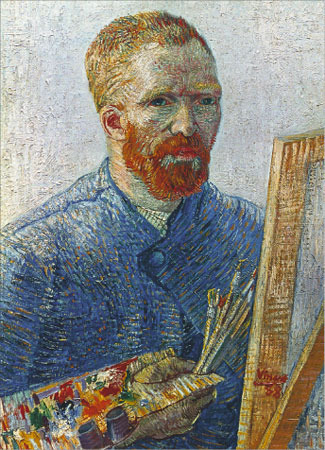 Believing he needed focused training in art techniques, van Gogh enrolled at The Royal Academy of Fine Arts in Antwerp and was impressed by the works of Rubens and various Japanese artists, and such influences would impact greatly on van Gogh's individual style. In 1886 Vincent van Gogh relocated to Paris and immersed himself in the world of Impressionism and Post-impressionism. He adopted brighter, more vibrant colors and began experimenting with his technique. He also spent time researching the styles found in the Japanese artwork he had discovered a year earlier. Paris exposed van Gogh to artists such as Gauguin, Pissarro, Monet, and Bernard. He befriended Paul Gauguin and moved to Arles in 1888 and Gauguin joined him later. Van Gogh started to paint sunflowers to decorate Gauguin's bedroom and this work of art would later become one of his most accomplished pieces, Sunflowers. It was towards the end of 1888 that van Gogh's mental illness began to worsen and in one outburst he pursued Gauguin with a knife and threatened him. Later that day at home, Vincent cut off part of his own ear then offered it to a prostitute as a gift, and he was temporarily hospitalized. Upon returning home he found Gauguin leaving Arles, and thus his dream of setting up an art school was crushed. Van Gogh committed himself to an asylum in Saint-Rémy-de-Provence at the end of 1888 and his paintings from his time there were brimming with activity. 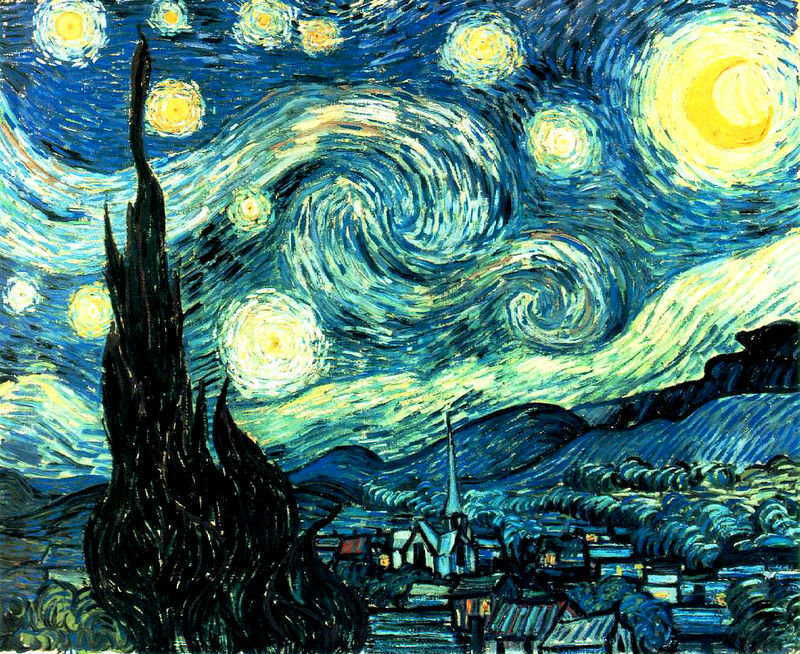 It was in the asylum that he painted Starry Night which became his most popular work and is one of the most influential pieces in history. Van Gogh left Saint-Rémy-de-Provence in 1890 and continued painting, producing a number of works - nearly one painting per day. Despite his creative achievements, the artist thought of his life as terribly wasted, and a personal failure. On July 27, 1890 he attempted suicide by shooting himself in the chest and died two days later from the wound, aged 37. Van Goghs dear brother Theo was devastated by his loss and died six months later. Theos widow took Vincent van Goghs works to Holland and published them, and he was an instant success. His work went on to influence Modernist art and today, Vincent van Gogh is regarded as one of history's greatest painters.